This study in durability and soundness in the equine athlete was inspired by the career of the current Standardbred super-star Foiled Again ST (ST=Standardbred). Foiled Again ST, a 14 year old New Jersey-bred Standardbred gelding (pacer) completed his 100th lifetime win this year (2018). His quest for this landmark accomplishment captured many racing fan's attention as he won his 99th victory and then the tension (and press coverage) grew as the 100th win seemed just out of his reach when several races passed without him getting to the finish line first. Would he make it? And then to our joy he did indeed have the victory before the mandatory retirement age for racing Standardbreds of age 15. I am sure you will agree that any horse that can win 100 races has some lessons to teach us about durability and soundness, combined with athletic talent. I thought when Foiled Again ST had won the 100th race that was it, that he would retire in glory, but later on I read in an article by Ken Weingarten that when Foiled Again ST was doing a victory tour around the country that he also participated in a few other races and gosh darn, he won a few of those as well. As of today (9/2018) his total races started is 319 and his win number is now 102. When I talked with Sylvia Burke, one of his owners, she said he is a magnificent horse with a marvelous disposition, with a real positive work attitude, and that he is still completely sound. 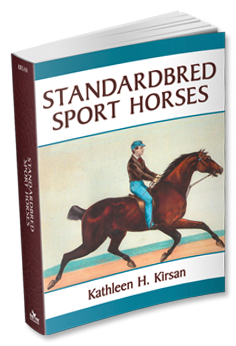 Having researched this wonderful breed of horse for my book: Standardbred Sport Horses, I already knew it is possibly the best all-around equine athlete out there. The Standardbred has a history of top rate performance that reaches back all the way to its ancestors in the early 1600s. And Foiled Again ST does his heritage proud, as he also retires with the title of highest money earner (7.59 million); and he is not a low level racer either: his best time is a 1:48 mile--a very respectable modern speed record. His trainer Ron Burke had this to say about him: "There have been many more horses that were more talented, but he ended up putting them away...He was never a super high speed horse that beat them with talent, he beat them with heart and determination." My admiration for this resilient horse, Foiled Again ST, inspired me to research his bloodlines and see if there was any specific line I could identify for the sport horse breeders as one that could transfer some of his toughness and soundness. That is when I stumbled upon the fact that Foiled Again is one of at least 24 Standardbreds that have achieved the century mark or better in modern times; and the number of races run by those strong horses ranged from 199 to 603---this is staggering. Now I had some real meat to cut, with a base of 24 lineages to examine, I felt more confident that perhaps I could find some common potency. Further, many others have come close to this record as well, for instance, three others have won 99 races, but for the sake of this study I will use 100 as the cut-off point. The horses included on list only went back to a 1969 date of birth, and so the list does not cover the full racing history of this amazing breed. Our current racing star Foiled Again ST carries many of the dominance we will see identified in others in the study. He is most potent as you can see (color highlighted duplicated lines in the pedigree) Abercrombie ST, Tar Heel ST and his sire Billy Direct ST, Meadow Skipper ST and Albatross ST, which are modern pacing sire lines of excellence. What is not as apparent in the 7-generation pedigree provided is the almost equal buildup of critical mass potencies of Hal Dale ST 1926 (26 lines) and Volomite ST 1926 (30 lines), both fountainheads of tremendous potency. You will see these bloodlines and a few others rise to the top like cream in the evaluation of the other 23 on the list. [Volomite ST 1926, a strong potency in Foiled Again ST is a valuable bloodline in the Standardbred and a first rate all-around sport bloodline. He produced an equal amount of trotters and pacers that made standard. He is found in dominance in both trotters and pacers and in winning sport horses that are full or part-Standardbred, he even transmit the ability to jump.]. 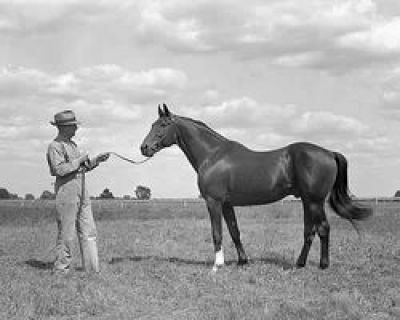 Nowadays Standardbreds are required to retire at age 15, at which time they would have raced for a maximum of 12 to 13 years; that is a long sport career and is an indication of an innate soundness and durability in the breed, which is one of the characteristics I found common in Standardbreds, especially when compared to other sport breeds, such as warmbloods and Thoroughbreds, which have a high percentage of early retirement due to soundness issues. Standardbreds are noted for their ability to transfer improved legs and hooves, good neck and head set with a excellent shoulder angle, the toughness that enables them to stand up to long campaigns, along with a strong work ethic and a superior disposition when crossed on less hardy breeds. In researching this breed, mostly known today for their harness racing excellence, I discovered it also carries first rate ridden sport lines even for jumping and dressage (see Standardbred Sport Horses). With all this sport talent available, it will be interesting for the sport breeder if we can isolate the bloodlines that transfer this reliable soundness and vitality as well. We will do this by determining the genetic dominance operating in each horse (using Tesio Methods), then compare them to see if one or two stand out as trust worthy sources. Knowing that the Standardbred is a close relative to the American Thoroughbred and Quarter Horse (same breed until the 1800s) I did a quick search to see if equal results could be found in those breeds as well in our era and I only found one Thoroughbred and it appears at this writing the Quarter Horse population will have noticeably less century mark wins. Of course there may be factors operating that I am not aware of, but still my impression is that overall the Standardbred is a standout because it appears somehow to have kept the durability of its ancestors that its sister breeds appear to have lost some of along the way. After I have examined the initial 24 Standies I will also take a look (Part II) at the tough racing Thoroughbreds and in Part III the Quarter Horses, hoping to find some common root elements in power. All 3 of our racehorse breeds arose from the American Running Horse, and there will naturally be root bloodlines in common. 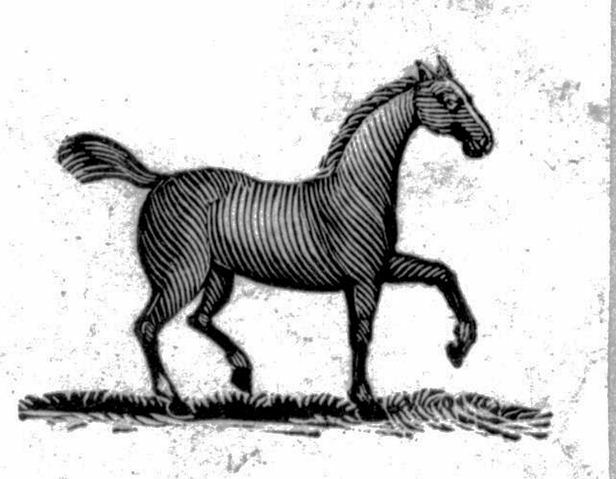 The American Running Horse did not go extinct until around 1925, and several sport breeds are directly descended from it; our 3 racehorse breeds: American Thoroughbred, Quarter Horse and Standardbred, plus the Morgan, Saddlebred, Tennessee Walker and Missouri Fox Trotter--all carry foundation lines from our original breed. But that is not all, for all the spin off breeds, like the Paint Horse, our saddle breeds do also, and you may be shocked to learn the European Trotter, and really the trotting breeds of the world, all have Standardbred in them, and in Europe it is as high as 80-90% (see Matzka: www.breedingtrotters.com). Soundness is becoming an increasing problem in not just racing strains but in all sport horses. Our modern sports being so specialized, the selection for a specific characteristic such as speed, jump or dressage ability naturally eliminates many other factors that are not directly attached to the target use, and so our modern stock often has lost not just its versatility but often soundness and the ability to stand up for long tough campaigns. The Standardbred, however, is one breed that is still outstanding for its athletic versatility and its work ethic and its innate toughness. Of the 24 centurions, 3 are stallions and 3 are trotters, the majority being pacing geldings (no mare in the top 100 wins, but one made 99 wins). That there are only 3 stallions is understandable from a breeder's view, because if you have a nice stallion you would want him to retire as soon as possible to stud duties in most cases. But on the other hand, I feel having just 3 trotters in this elite group (12.5%) is notable, even if you take into consideration that pacers out number trotters on this continent 2 to 1, the adjusted percentage would still be only 25%, which is something to consider. More information on soundness variables surfaced in a recent study on OC (osteochronditiis aka bone chips), which determined it was far more prevalent in the trotter than in the pacer. What to make of this I am not sure but theories are floating in my head, because the pacer is also 4 seconds faster than the trotter per mile (American Trotting Association). And having studied the history of this breed and its bloodlines extensively (Standardbred Sport Horses) I knew that the pacer was the original ancestral root (Irish Hobby was gaited), and also that all the great sport traits that I followed in other studies through time, such as speed, stamina, sure-footedness, soundness, jumping, saddle traits, that they too were evident in the early ancestors as well, which leads me to wonder if the pacer has a natural advantage of some sort. Or perhaps it is when the trot producing stock was introduced to the pacing population one of those trot typesetting lines had a flaw or weakness that was passed on. While I am tempted to expand this study by taking into account the percentage of wins of each etc. I decided not to because I am not studying speed here, rather soundness and durability, while it is evident some have a higher ratio of wins to starts, it is the ability to race year after year for a decade or more at a competitive level that will be the focus. The 3 American racehorse breeds were the same breed until the 1800s and from 1665 to 1875 heat-racing at both the gallop and the mid-gaits was the usual performance test of our racers. England also had a heat racing performance standard for their gallopers from 1665 to 1776, at which time it was changed to a classic race (1 to 2 miles run once) test. The length of the heats varied, with 1-mile, 2-mile, 3-mile and 4-mile heats. The winner had to win 2 heats which usually was accomplished with 3 heats run. Sometimes the contest was not decided by 3 starts and so a fourth one was needed, and very rarely a fifth heat occurred. Normally, a heat was run and there was a break period of 20 to 30 minutes before the next heat commenced--each race would have 2 or more starts. Take a minute and think about this. We swoon nowadays when a horse like the mighty Secretariat runs the 1 1/2 mile Belmont and wins it by 31 lengths. Back then these horses would run full speed for 4-miles in each heat (see Real Stayers and Legacy of Lexington for more on this).Then if the same horse did not win both heats than a third heat was run, and if there were several horses in the race and a winner was not determined after the third heat then off they went on another 4-mile race, What horse of today can do this? The heat racing horses of that period were so physically amazing that they regularly raced 8 to 16 miles in a meet...after of course walking on their own power to the track. Records were spotty back then, both pedigree and race recording, making it difficult to get an accurate race record or lineage of a champion. In the Standardbred study we have enough top performers in the modern era to quantify. For the Thoroughbred and the Quarter Horse breeds we will have to change the criteria to identify the important bloodlines. Flora Temple AT 1847 (AT=American Trotter), ran 103 races and won 89, but if we adjust the race number by actual starts (starts=race) it would be 258 starts (103 x 2.5) with 178 wins (89 x 2). Lady Suffolk AT 1833 ran 162 races and won 89, adjusted that would be 405 starts with 178 wins. 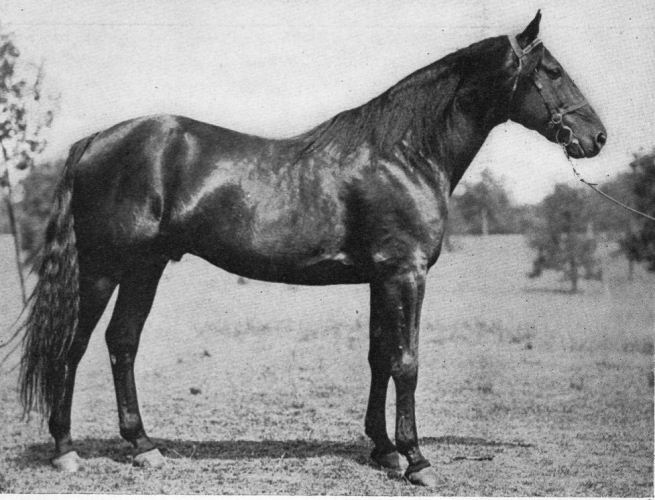 And possibly the greatest racehorse there has ever been is the pacer Walk in the Water RH 1813 (RH-Running Horse), a son of Sir Archy out of a gaited Saddle Horse dam and it is said he ran over 400 races and won most of them and was still winning at 19 years old. A pacing gelding, he traveled a circuit from Mississippi to Kentucky to Virginia and back again, over and over. If we adjust his races it would be around 1000 starts. His record, as incomplete as it is, still shows him to be unsurpassed in miles run, races won, and miles traveled to the meets making him the epitome of soundness and durability. It was said by the owner of his sire Sir Archy (Allan Jones Davies) that Walk in the Water RH "...winning more races at a great variety of distances and at a greater age than any horse in the world." The turf historian, William Robertson said of him: "...the old campaigner ranged so far afield of Natchez, traveling on foot from meeting to meeting, winning race after race, and conceding weight to rival after rival." My hope is we can bring back the level of physical excellence our root bloodlines carry; we sadly need to address these issues as our modern racers and sport horses are now just a shadow of their ancestor's abilities and staying power. We will visit some of the galloping heat racers in Part II. All pedigree and bloodline analysis will be done by Tesio Methods which are pedigree patterns that are statistically proven indicators of potency, and in this practice we will use the pedigree as a genetic road map (see Understanding Pedigrees). This study has grown tremendously from my initial idea and must be broken into sections for manageability. Each section has its own issues that changed the means of evaluation.